(Long Island, NY) Long Islanders can enjoy a one-of-a-kind live music/live painting extravaganza while sitting on the great lawn at the Vanderbilt Museum overlooking Long Island Sound – at the Long Island Sound & Art Festival, on Sunday, June 30, noon to 7:30 p.m. Hear the sounds of Liverpool Shuffle (Beatles Tribute), Reckoning (Grateful Dead tribute), Black Dog (Led Zeppelin tribute), Stanton Anderson Band, Teddy Kumpel Loopestra, and soloist Elana Rivkin, while enjoying the added excitement of watching more than 50 artists painting to the inspiration of the live music, scenic vistas and audience interaction. The Long Island Sound & Art Festival is part of the second season of Rich Rivkin’s Summer Arts Festival Series, with an expanded schedule of 11 outdoor festivals taking place at waterfront parks, museums and college lawns across Long Island. This year the Series features a calendar of multi-themed events including Woodstock Revival, Long Island Sound & Art Festival, Marley Fest, North Shore Blues Festival, Grateful Fest, Rock Village Festival, Jamboozi Festival, Live Art Fusion Festival, Rock The Cradle Festival, and Live Art Drum & Dance Fest. The full schedule is available at www.limusicfestivals.com. This year’s festival sponsors include Sam Ash Music Stores, The Paramount Huntington, Yelp.com, Goodtimes Magazine, and The Village Connection. 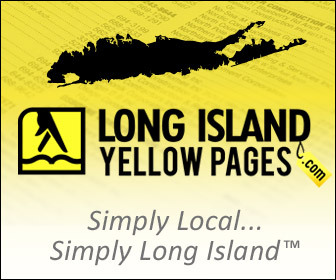 Tickets for the Long Island Sound & Art Festival are $20, and available online at www.limusicfestivals.com. Parking is free, and food & beverages will be available. For more information email limusicfestivals@gmail.com.